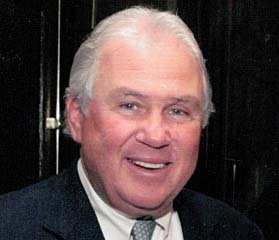 Perhaps best known as longtime owner of Boston Concessions (also known as Boston Culinary Group), Joseph O'Donnell has been involved in the ski industry for decades. The son of an Everett police officer, Joe O'Donnell graduated from Harvard Business School in 1971. Following graduation, O'Donnell joined the administrative team at the school. In 1974, his son Joey was diagnosed with cystic fibrosis. With medical bills piling up, O'Donnell left Harvard Business School in 1976 to take a more lucrative job at Drive-In Concessions. The following year, he purchased Drive-In Concessions parent company Sportservice and renamed it Boston Concessions Group. One of his first accounts in the food service business was Sugar Mountain ski resort in North Carolina. His involvement in the ski industry would snowball as his food service fortunes grew. The mid 1980s were a sad time for O'Donnell and his wife Kathy, as their son lost his fight with cystic fibrosis. O'Donnell has remained very active in cystic fibrosis causes, starting the Joey Fund and also chairing the Cystic Fibrosis Foundation. The mid 1980s were also the start of O'Donnell ownership role in the ski industry. Circa 1985, O'Donnell became part owner of Jiminy Peak, MA. In addition, O'Donnell became involved with a group led by Simon Oren. The group would purchase Magic Mountain, VT in 1985, Timber Ridge, VT in 1986, and Bromley, VT in 1987. While Jiminy Peak was in the midst of growth, the Golden Triangle ski areas in Vermont weren't doing quite as well. Oren left the group circa 1990, leaving O'Donnell and a business partner in control of the areas. With the areas not doing as well as dreamed, the decision was made to close Magic Mountain and now-connected Timber Ridge after the 1990-91 season. Following the winter of 1993, the two areas were put up for auction, while Bromley was put up for sale. O'Donnell would retain his ownership stake in Bromley, as well as now-rapidly-growing Jiminy Peak. By the late 1990s, O'Donnell was part owner of Mt. Tom, MA. Following the 1997-98 season, the ski area was shut down so that the owners could focus on the adjacent quarry operation. The ski area would later be liquidated. In the fall of 1999, O'Donnell and Jiminy Peak partner Brian Fairbank purchased Brodie Mountain, MA from Jim Kelly. While it was initially hoped the ski area would serve as a complement to Jiminy Peak, the Fairbank and O'Donnell later decided it was no longer a viable business for them, closing it after the 2001-2002 season. In 2004, O'Donnell renamed his Boston Concessions Group to Boston Culinary Group. In 2006, Boston Magazine would name O'Donnell the 24th richest Bostonian, with an estimated net worth of $725 million. Wanting to get out from a decent debt load, Fairbank and O'Donnell sold Jiminy Peak to CNL Lifestyle Properties on January 27, 2009 for $27 million. As part of the deal, Fairbank and O'Donnell obtained a 40 year operational lease of the ski resort. As O'Donnell eyed retirement, Boston Culinary Group merged with Centerplate, Inc. in early 2010, taking on the role as Chairman of the Board with Centerplate. On June 15, 2010, Brian Fairbank, his son Tyler, and O'Donnell, along with financing from CNL Lifestyle Properties, purchased Cranmore Mountain Resort, NH. Immediately thereafter, a massive investment project was started, adding to both the skiing and non-skiing facilities. In June of 2011, it was announced that Fairbank and his son Tyler would take over the operations at O'Donnell's Bromley Mountain Resort. In March 2012, Harvard announced that O'Donnell and his wife had donated $30 million to the university.